Sometimes what happens in Vegas shouldn’t just stay in Vegas. 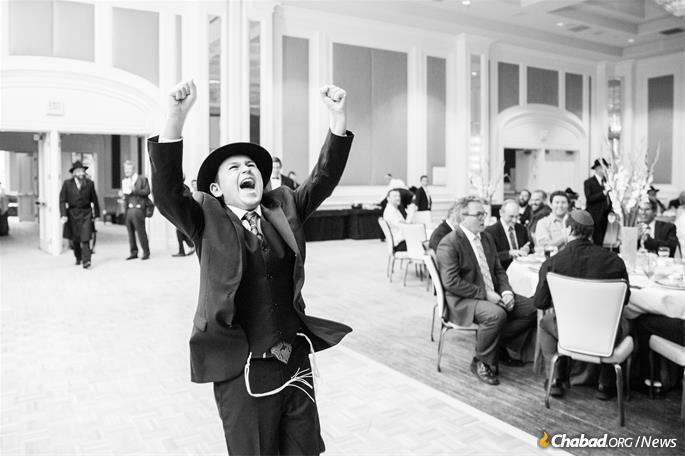 Levi Harlig’s extraordinary bar mitzvah is one of them. Levi gave a flawless reading of Parshat Naso, the longest Torah portion of the year, and delivered a Chassidic discourse in Yiddish and Hebrew last Shabbat morning at Chabad of Green Valley/Henderson in Las Vegas. 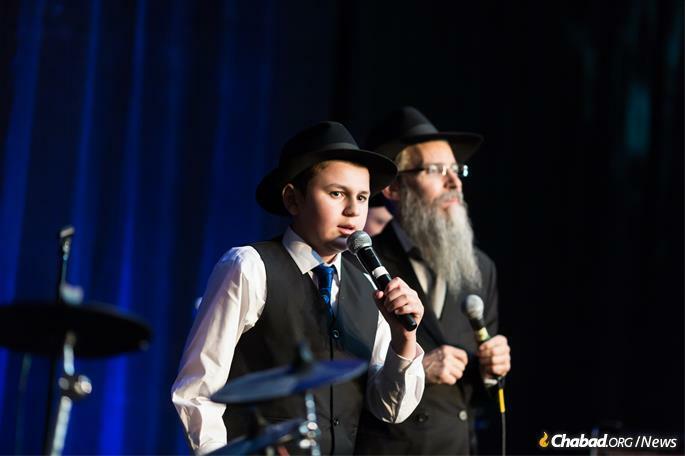 The following evening, the 13-year-old sang and drummed for three hours with entertainer Avraham Fried at a community-wide celebration at the Four Seasons Hotel on the Las Vegas Strip. That would be an exciting experience for any bar mitzvah boy. But for members of the community who have known Levi since birth, the accomplishment was nearly miraculous. 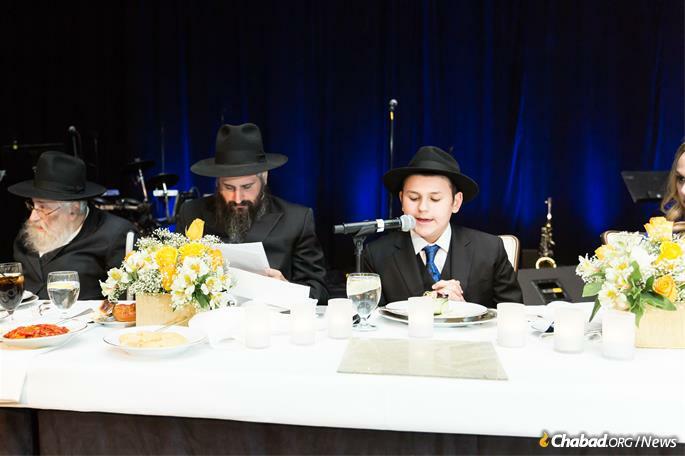 When Levi was 15 months old, his mother, Chaya Harlig, co-director with her husband, Rabbi Mendy Harlig, of Chabad of Green Valley/Henderson, realized that something was not quite right about their son. “He wasn’t making eye contact or following directions. We got him into all kinds of therapies right away—occupational therapy, speech therapy and more.” Three months later, the Harligs learned that Levi had autism. He has difficulties with personal space and reading social cues, and he often focuses on topics of interest to him but not necessarily to other people. Harlig quickly realized that his wife was right. 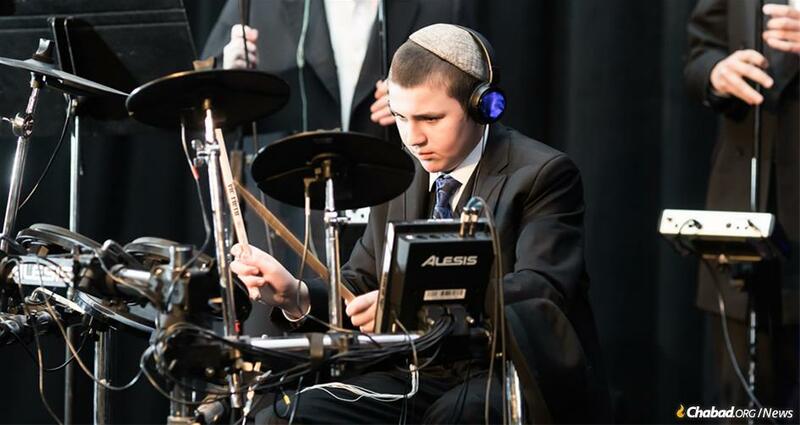 Levi has extraordinary talents, including perfect pitch and what his parents refer to as “audiographic memory.” Levi is able to remember essentially anything he hears, including songs, speeches, conversations he has heard in synagogue or around the Shabbat table. Rabbi Harlig began including Levi in the life of the synagogue from an early age. “Each Yom Kippur, I would give my talk and then find a song in English connected to the sermon for Levi to sing. There wasn’t a dry eye in the shul!” Levi regularly leads the congregation in prayer, and he greets congregants by name, upon arrival—often in a loud voice from up on the bimah. His important role in the synagogue has allowed members of the community to become comfortable with a person with disabilities. “Levi is bringing people into the Henderson Chabad. He has a warm smile and welcomes everyone,” reports his father. Wayne Krygier, a member of the Las Vegas Chabad community since relocating from Canada in 1989, concurs: “Levi is the heart and soul of the synagogue. The shul is his life—he feels so at home here.” Krygier jokes that Levi’s greeting everyone in a loud voice as they enter serves as an incentive to arrive on time. The community’s embrace of Levi and inclusion of people with disabilities extends beyond one special Shabbat. The Harligs and the community dream of making Chabad of Green Valley/Henderson the “central address” in Las Vegas for including people with disabilities. 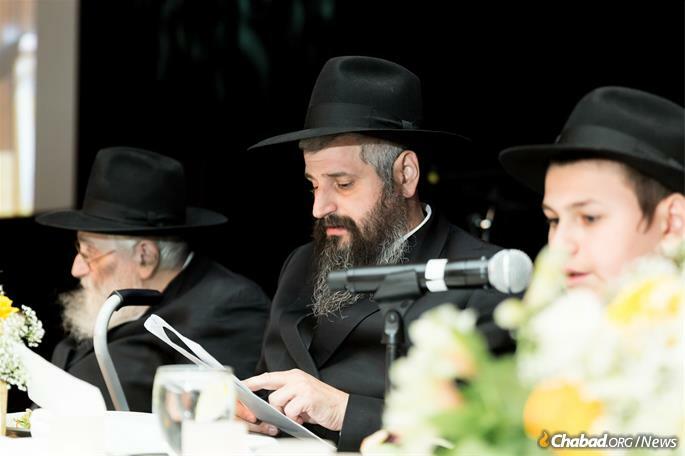 “Going forward, we hope to continue showing the importance of inclusion, which Chabad has been doing for many years—unconditional love for all humans,” says Harlig. Berkow, who assists Harlig in running Chabad, proudly notes, “I want our Chabad to be the shul of inclusion, the place that caters to people with special needs and where inclusion is the centerpiece.” He also hopes Chabad of Green Valley/Henderson will serve as a satellite to the already successful Friendship Circle 15 miles to the north. Chaya Harlig notes that Chabad recently purchased land, and future plans include Levi’s Place, where people can come for homework help, tutoring, programming and friendship. “We will have a community center serving many families. We will be inclusive and work together with all children on all levels.” She continues to hear of the impact that Levi has had on the Las Vegas Jewish community. “Because of him, people are becoming more religious, closer to the synagogue and Hashem.” She notes that she knows other shluchim families with children with disabilities, and that Chabad offers resources and support. Rabbi Harlig has found a natural partner in his mission towards greater inclusion the Ruderman Chabad Inclusion Initiative (RCII), directed by Dr. Sarah Kranz-Ciment. 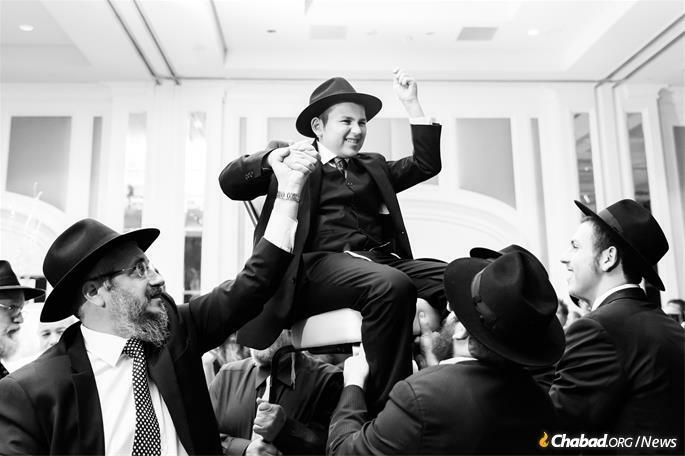 RCII is dedicated to building on the philosophy and mission of Chabad-Lubavitch by providing Chabad communities around the globe the education and resources they need to advance inclusion of people with disabilities. RCII engages Chabad’s network of resources to create a culture of inclusion so that all Jews feel welcomed, supported and valued throughout their entire lifecycle. We are working with the Ruderman Family Foundation in Boston on change. It needs to happen. I was never able to fully convert because of disability, at times I've stumbled and doubted, but I wait. What a lovely story. We are not different, we want to be included in the Synagogue.